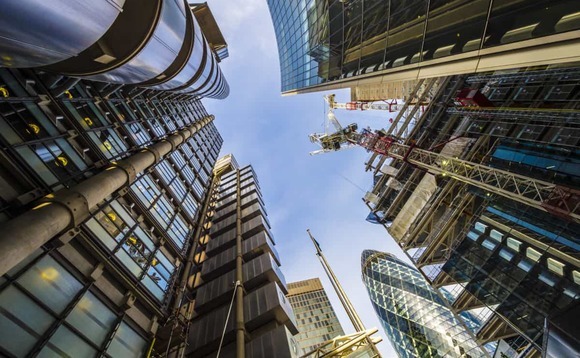 Thousands of first-time investors who lost their savings through investment with London Capital & Finance (LCF) are unlikely to qualify for compensation since the way in which the fund sold bonds meant that clients were not covered under FSCS's rules. Nearly 12,000 people put more than £230m into the firm which collapsed in January. The Financial Conduct Authority first raised concerns about LCF in December over the company's marketing, which it said was "misleading, not fair and unclear". LCF had claimed its bonds were Isa-eligible when they were not — as HM Revenue & Customs confirmed this week — meaning investors may have to pay tax on any income received from them. LCF also bragged of a "100% record" on more than £224m that had been invested at that time. I think there is a confusion there. The company was regulated for the purposes of giving advice but not for the purposes of selling the bonds and I am quite sure some consumers were misled by that"
London Capital & Finance (LCF), now in administration, took £236m. Many were first-time investors - inheritance recipients, small business owners or newly retired. Administrators said investors could get as little as 20% of their money back. The Financial Services Compensation Scheme (FSCS) acknowledged that the investors had lost money "through no fault of their own". But it told the BBC "there were no grounds for offering compensation". FSCS chief executive Mark Neale told BBC Radio 4's Money Box that the way in which the fund sold bonds meant that investors were not covered under FSCS's rules. "The bonds themselves were not regulated products, and on our current understanding, we do not believe that customers were given personal advice to buy the bonds." "That is crucial because it is the personal advice that is regulated," he said. Neale said consumers may be confused by the fact that the collapsed company was regulated to give financial advice only. "I think there is a confusion there. The company was regulated for the purposes of giving advice but not for the purposes of selling the bonds and I am quite sure some consumers were misled by that." LCF lent £38.6m of its 11,500 bondholders' money to a North Sea explorer called Independent Oil & Gas. One bidder, RockRose, offered to buy the company or pay LCF investors nearly £40m to repay the loans but its offers were rejected. Instead, the administrator backed a second deal, which sees Independent raise £16.6m to fund development of one of its wells and give the company more time to repay the loan. The company is now asking its shareholders to be patient and play the long game, with the promise that project delivery will create greater rewards in the future. In the meantime, the Serious Fraud Office has opened an investigation into individuals associated with LCF. On 4 March 2019, four individuals were arrested in the Kent and Sussex areas, the SFO said.